Dialogue rather than isolation is the way to respond to military-led Fiji, which has put off a return to democratic elections, East Timor's Foreign Minister said on Tuesday. Zacarias Albano da Costa told the Sydney Morning Herald "there is a problem" in the Pacific island nation, which could affect regional peace and stability. "I believe that the issue of Fiji must be dealt with by the international community with a view of engaging Fiji into dialogue," the minister said ahead of the ASEAN Regional Forum (ARF), a 27-member regional security dialogue of which tiny, democratic East Timor is a member. However, NZPA is reporting that New Zealand is sticking to its guns and will not be attending the meeting. 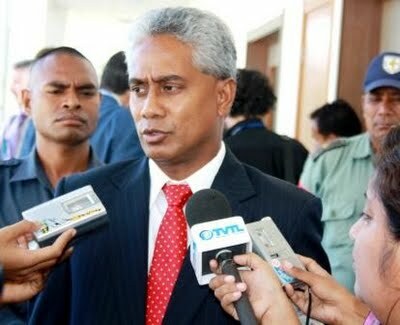 Bainimarama had earlier accused New Zealand and Australia of trying to embarass and undermine Fiji. 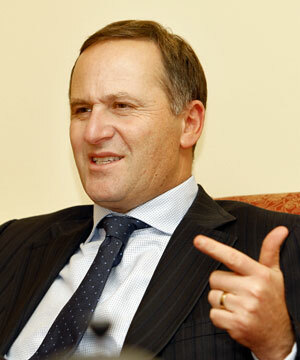 Mr Key said the suggestion that New Zealand was interfering in Fijian politics was "totally and utterly incorrect". "New Zealand hasn't done anything ... to undermine the MSG meeting." He did not think the alternative meeting would overshadow the Pacific Islands Forum summit in Vanuatu next month. The forum last year expelled Fiji until it restored democracy, and none of its leaders had told Mr Key they wanted to adopt a different course. "New Zealand has reached out to Fiji and tried to extend the hand of friendship and restore a diplomatic pathway. "We are not trying to punish Fiji, we are simply trying to get democracy restored." There were actions New Zealand could take, such as bringing diplomatic representation in Suva back to New Zealand, although Mr Key said he was not proposing to do that. "That would have quite a dramatic impact on the people of Fiji because that is the processing centre for visas. It would also have quite a dramatic impact on neighbouring countries that rely on Fiji and New Zealand support of their processing for immigration perspectives." Mr Key said he did not expect New Zealand's acting high commissioner to Suva would be expelled from Fiji. "From our perspective we believe action taken against a New Zealand diplomat will be without foundation." He said he hoped Commodore Bainimarama would honour his commitment to elections. "If he doesn't then I guess he will need to answer to the people of Fiji. We want to see peace and stability in the Pacific and we want to see democracy in the Pacific. We do not accept a regime that is installed by the barrel of a gun." Give me a break Mr Key. You know as much as anyone else that there will be no elections in 2014. Without serious pressure from the international community Frank will march on North Korea style and he will give a damn when the economy collapses and Fijians start to starve. It is about time that Oz and NZ get their act together and use the tools they have. Suspending UN contributions as long as the UN colludes with the dictatorship, freezing of all assets held by members and supporters of the regime, serious travel warnings that tell tourists the truth about the character of this regime, and yes closure of visa processing facilities in Fiji. In addition, these moves should be explained to the population of Fiji by radio broadcasts, internet and other means. Sure there will be hardship for Fijians, but what is the alternative? A smug dictator digging himself in, destabilizing and dividing the entire Pacific region for no other reason than his own gain and survival. East Timor is now on the road to learning what the people of Fiji, and the other Pacific Island leaders, already know! That when Bai talks about engagement, what he really means is, endorsement, or more correctly, sychophancy. There is only one acceptable outcome to dialogue for him, and that is the other party(s) MUST fully accept and adopt his views and goals. The thing about that of course, is that you can achieve the EXACT same outcome through dis-engagement (or behind-the-scenes engagement, if you will). PLUS you have the advantage of retaining your integrity, reputation, and status as someone who has not indirectly aided, abetted and endorsed treason, human rights abuses, and economic disaster! Whats this bloke from E Timor on about, It's the IG that arent open to dialogue unless it's all one way and coming from them. It is well past time we step up the pressure and enact laws designed to make it illegal for those committing coups in other countries to enter aus or nz. They should realise that even after 2014, even if the election does happen, that they will be held able for all the mistreatment, abuses, arrests, assaults, deportations, decrees and oaths by making it a crime to enter our countries, ever. For aus and nz to claim that they didn't want to step up sanctions early on not to hurt the locals has failed and it should have been severe, absolute and punishing and this whole thing would not be still an issue nearly some fur years later. With all due respect to the Pacific Island leaders None of them commented on the need for Bainimarama's dictatorship to first and foremost engage Fiji's political parties and relevant stakeholders on the ground BEFORE seeking the presence of any outside entities such as themselves for they can't solve Fiji's political mess (brought upon Fiji by none other than their host) or for that matter, take Fiji closer to democratic rule YET much time effort and (money that they don't have) are spent on trivial ego massaging seminars such as this and then leave Fiji in exactly the same distance from democratic rule before they got here. Add to that is testimonies that each of them can not fork out a dime in investment towards Fiji if compared to Australia and New Zealand out of their need to guard potentials for such on their home fronts. That would have been the kinds of statements useful to all concerned. On the other hand Samoa is sitting pretty on the receiving end of some brand new investments from none other than our very own Fijian businesses.